It’s one of the most high performance web servers available today, and it won’t steal all of your system resources for kicks. Although earlier version of Nginx were primarily suited to serving up static content (css, jpgs, gifs, html, js), because it could not handle processing dynamic pages well, more recent version this has all changed. You’re likely to see an increase in web applications running off of pure Nginx deployments. 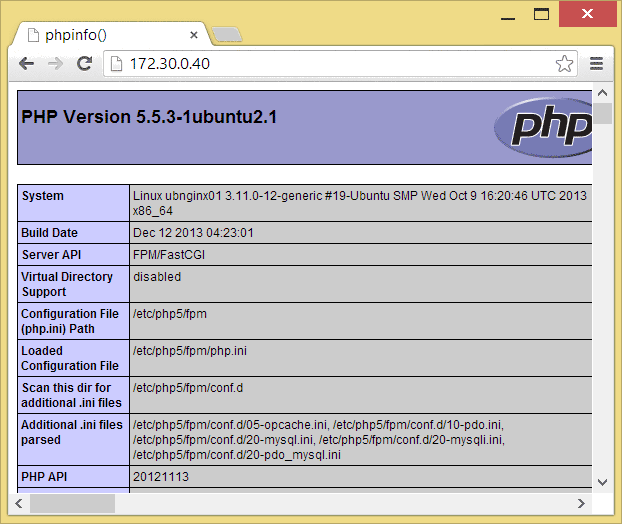 This tutorial will walk you through deploying what is called a LEMP server (Linux, Nginx, MySQL, PHP) on Ubuntu 13 based servers. I will only cover the basics for now, but it will be enough to prepare the server for WordPress, for example. For this tutorial, I will only be using a single server with the following configuration. The sizing for a small application, so make sure you add sufficient resources for a production server that fits your expected traffic profile. The first thing we need to do is install all of the required packages. For this tutorial, we will be installing MySQL, Nginx, PHP5’s FPM and MySQL packages. 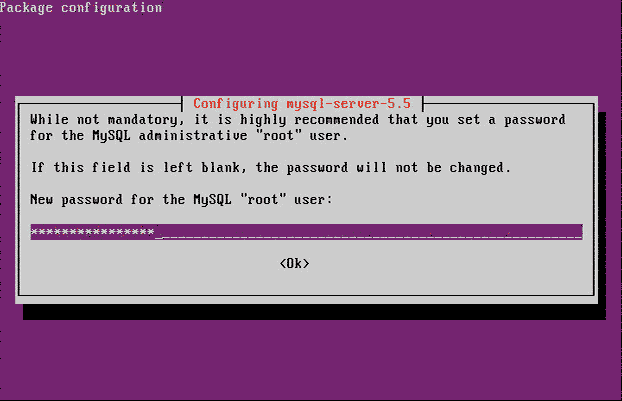 When prompted, set Mysql’s root password. Open the Nginx Default site configuration file into a text editor. And add index.php to it. Reload the default site’s configuration file to apply the changes. Run the secure installation script. When prompted, enter the Root password you set during the installation. When prompted, type ‘N’ to not change Root’s password. Accept all defaults to remove anonymous users, disallow remote root login, and remove the test database. Navigate to the default website’s root directory. Create a file called index.php. Open a web browser on your desktop and navigate to your web server. If all is well, you should see the following in your web browser. The web server is now ready to serve dynamic content. Download WordPress’ latest release as a test to ensure everything works as expected. Keep in mind security and performance optimizations weren’t done. If this server is expected to run publicly run production applications, it’s recommended you research how to harden it. I’ll cover that in a future tutorial, but for now it remains out of scope of this one. For information on how to set firewall policies for this web server, see IPTables Policies for Ubuntu 13 Web Servers. If you have any questions, suggestions or feel I’ve missed something important, make sure you leave a comment below.